Apex Legends Season 1 begins March 19 at 1 p.m. EDT, but Respawn has revealed all the Season 1 Battle Pass reward tiers early. Per an official blog post, here’s every character skin and cosmetic you’ll get during the upcoming season. The Wild Frontier Season 1 Battle Pass costs 950 Apex Coins as a standalone purchase, but a bundle is also available for 2,800 Apex Coins that instantly unlocks the first 25 tiers. In addition, there are a few free rewards offered to everyone. Unlike other Battle Passes for games like Fortnite, the Apex Legends content set for Season 1 is earned entirely through traditional gameplay. In other words, there won’t be any complex challenges or tasks for players to complete in order to level up. Simply play the game a lot, and you’ll unlock everything the Battle Pass has to offer. In fact, those who reach tier 97 will earn enough Apex Coins to get the Season 2 Battle Pass for free. 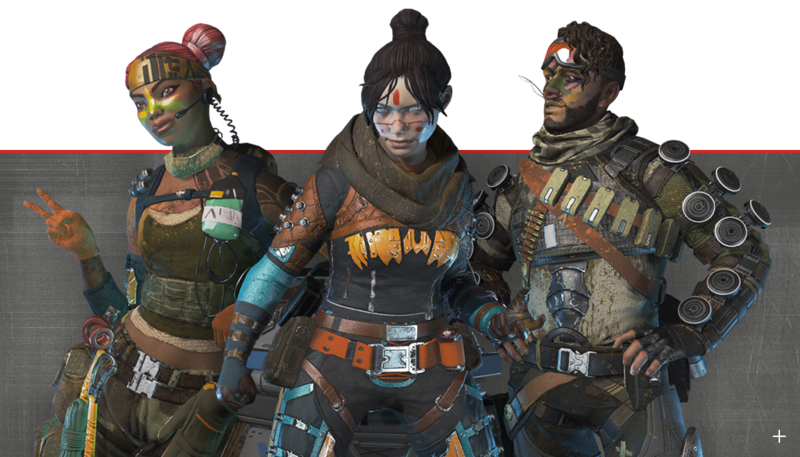 In addition to the Season 1 Battle Pass content, the latest update for Apex Legends also adds a new Legend named Octane and a few critical balance tweaks for existing characters. Caustic, Pathfinder and Gibraltar have better hitboxes, and Caustic Pathfinder and Wraith have all been buffed. We’ll learn more about the specific changes when full patch notes are released in the coming hours. Apex Legends is available now on PS4, Xbox One and PC. The Season 1 Battle Pass goes live March 19 at 1 p.m. EDT. What are your thoughts on the Season 1 Battle Pass based on these rewards? Are there enough cool skins to warrant the purchase? Tell us in the comments section!